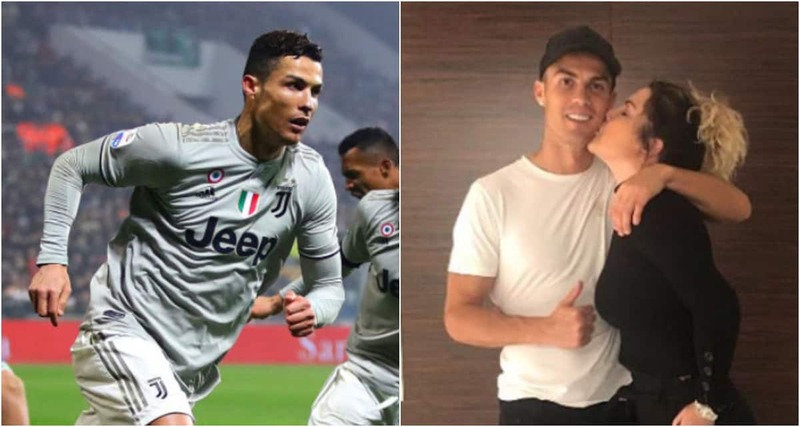 - And now she is expecting her another baby with new lover Alexandre Bertolucci Jr.
Cristiano Ronaldo's sister Katia Aveiro has announced she is expecting another baby with her new partner. The 41-year-old who currently has 911,000 Instagram followers broke the news as she will soon be having a third child. Aveiro and ex-husband Jose Pereira have two sons Rodrigo, aged 18, and Dinis Maria, aged eight. And she has spoken of her delight on social media as she commented on her pregnancy with partner Alexandre Bertolucci Jr. But Aveiro is now expecting her third child to partner Alexandre Bertolucci Jr. and she went on social media to share her expectations. She said: "I do not remember my life without being a mother. "I feel an agonising fear of my future, fear of being unhealthy, fear of nausea, mood swings from the routines exchanged, nights barely sleeping, constant vomiting mixed with tears." While also adding: "But the reward is magnificent, it's unique, it's wonderful, it's a blessing!!! "Learning once more to take care of me, because I need to take care of another mini heart of someone who hits hard inside of me. "Your family is crazy to see you, your grandmother has bought even clothes not knowing if you like blue or pink, your brothers crazy to kiss you. "Your crazy father to teach you and love and I anxious to take care of you, protect you so that you can then offer yourself wings and let yourself fly to be." The former Portuguese TV reality star was once rebuked by her brother Cristiano in late 2016. The five-time Ballon d'Or winner was angry when he found out that his sister slept with former lover Claudio Coelho in his own bed in Portugal. Sami Khedira pounced on a rebound from an initial Ronaldo's shot before the Portuguese added the second as well as assisting Emre Can for Juve's third.